There are times when there arises the need to inspect and assess the status or situation of a certain subject. Much more in the fields of business, where one needs to study the financial report and marketing performance of a company. It is never an easy task and not for the fainted heart. 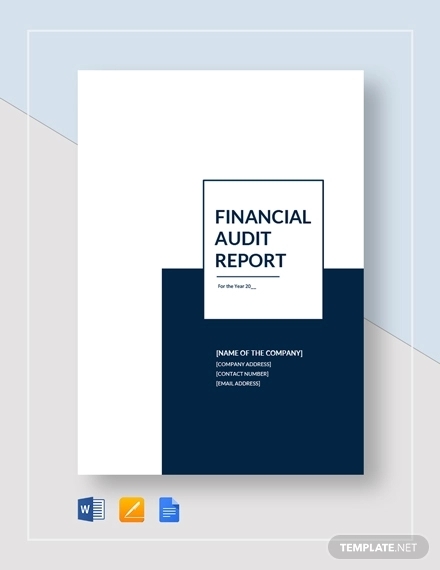 When you are in field of business, it is expected that you should familiarise yourself with things like financial reports, marketing reports, as well performance reports. These three are but a speck in the vast world of trade and industry. You need to equip yourself with enough skills or else you will be left behind. 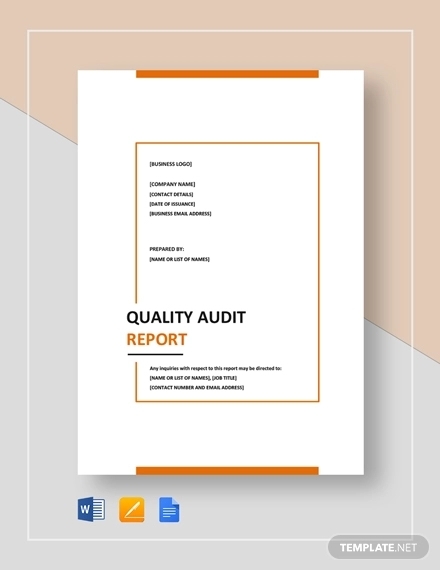 An audit report is an official document containing the results of inspections report of an entity or an organization which is usually focused important matters like finances. To write you need to follow some guidelines. Title and introduction. It is sometimes not necessary to have a title but for the sake of formality, you can make one. Your introduction should contain a brief background of the audit. Content. 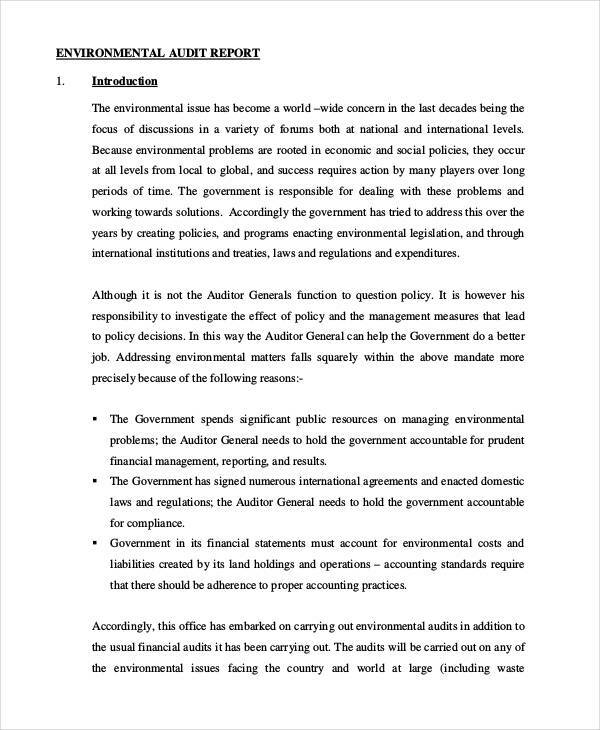 This is so called the body of the report. 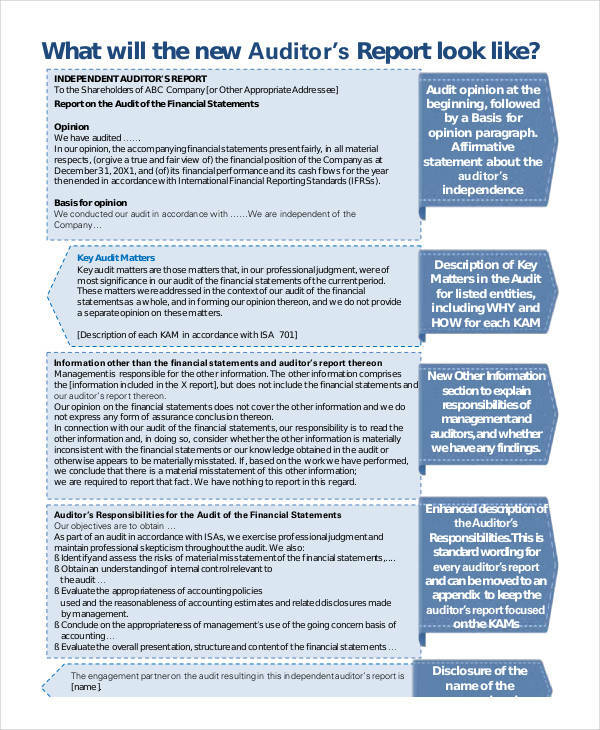 It contains the methods as well as factors for the audit. Summary. 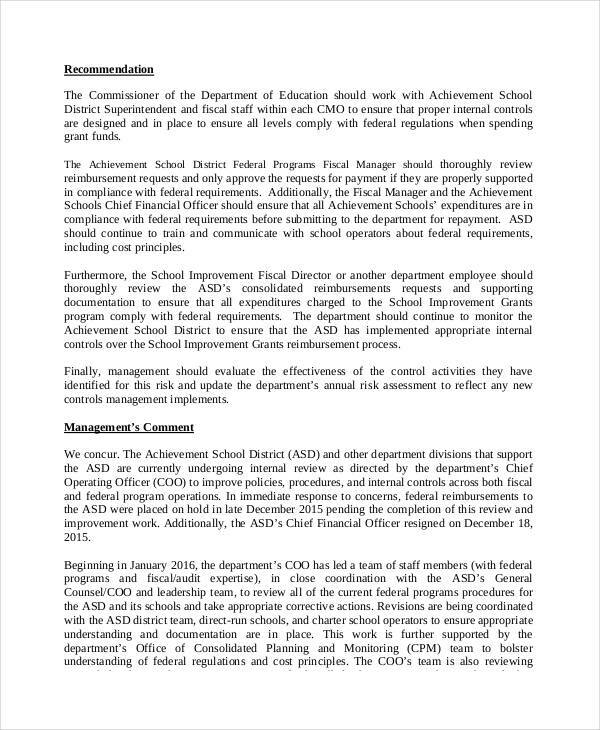 The last part of the report which tackles any findings as well as recommendations. 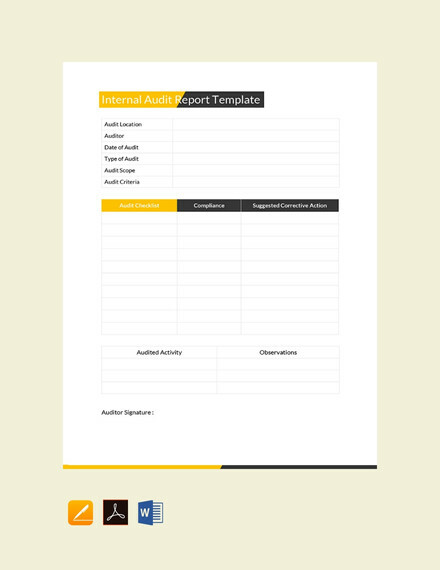 Most of the time, reports are the common source of making good and sound decisions for an organization. 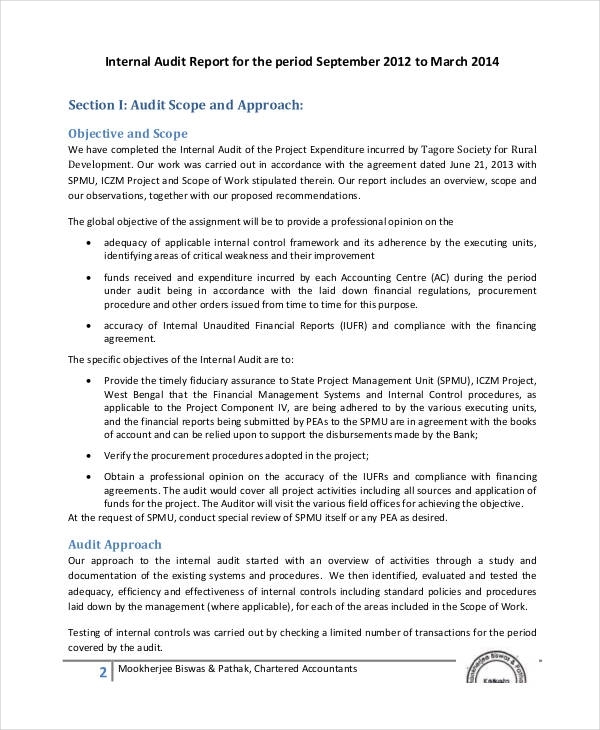 Since an audit report is intended to give an information without any taint of partiality and fairness, the results are sometimes used to come up with strategies and methods on how to develop an organization. 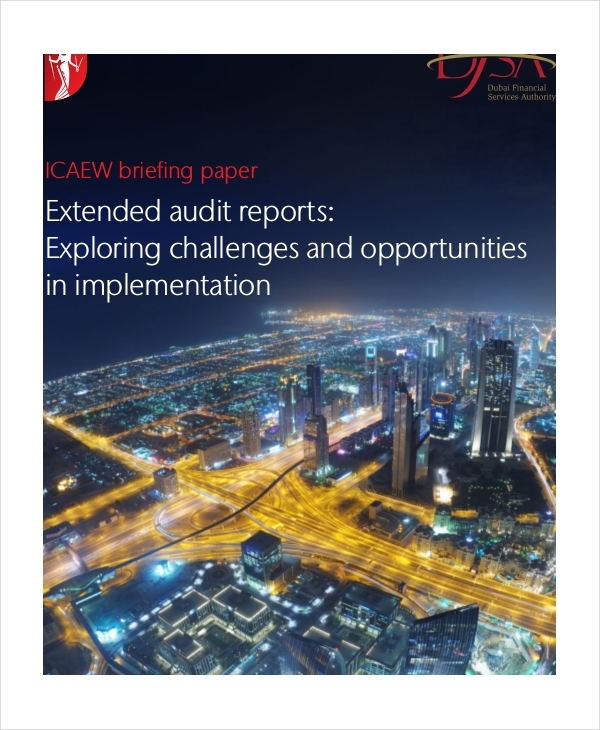 An audit report can be applied to a lot of subjects not just to business. Here are few of them. 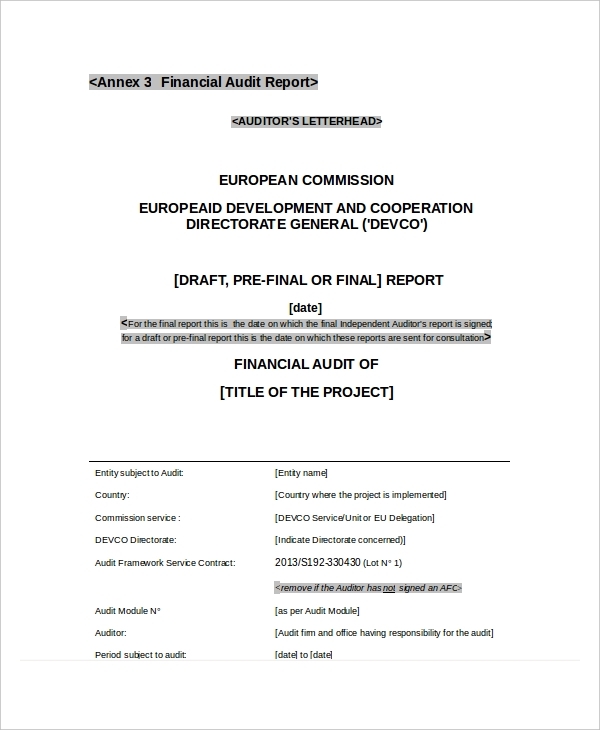 Financial audit report. This refers to an audit conducted to assess an organization’s financial status or performance in a given period. 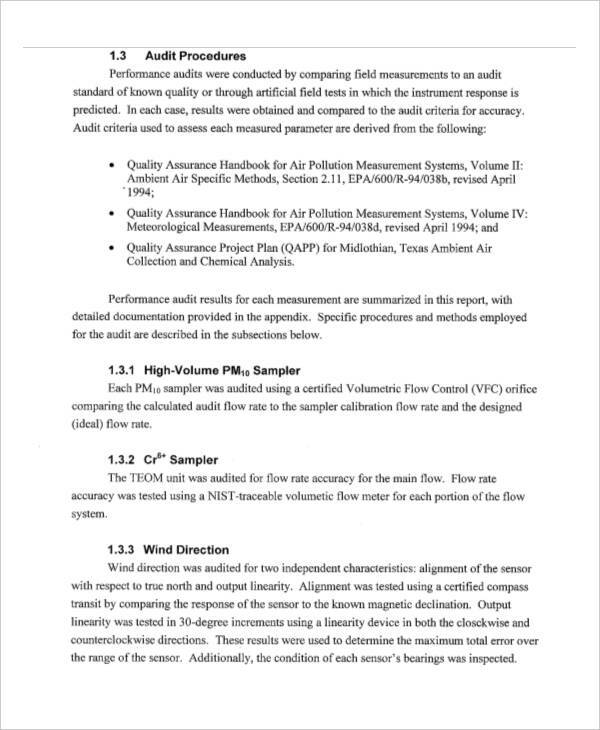 Environmental audit report. It pertains to an evaluation which concerns the nature and the surroundings. It could sometimes include alarming threats to the ecosystem like global warming or the rapid decrease in the number of trees in the forests. 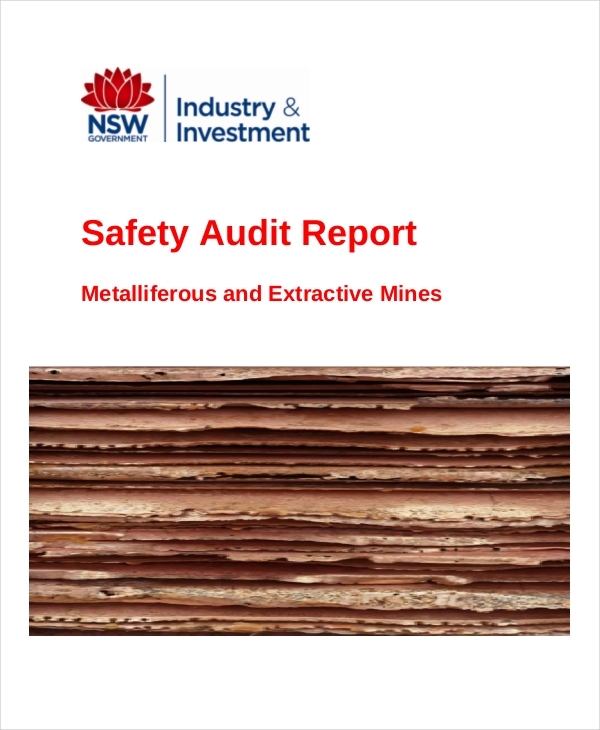 Safety audit report. 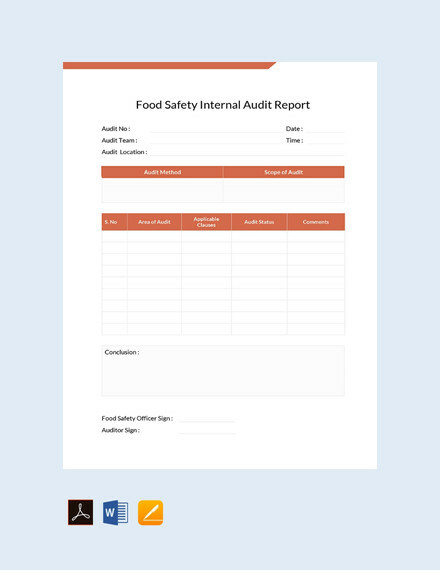 It is an audit which focuses on the safety procedures and protocols of a building or an organization. 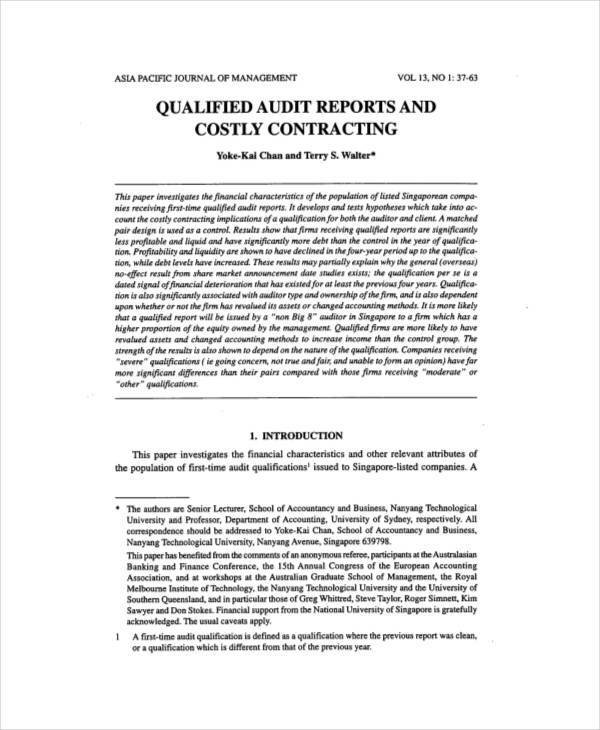 As we have previously discussed, audit reports are usually conducted by a non-partisan group or an individual in order to avoid producing biased conclusions as well as to remove any favoritism. 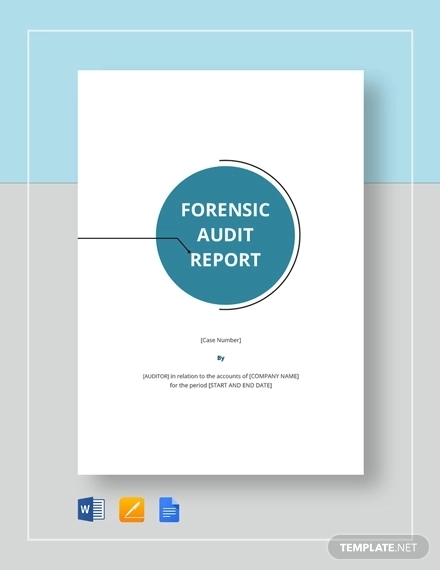 An audit report is important in order to attain impartial results and unprejudiced judgments. For a company to continue its operations without conducting any assessments or evaluations, it is sometimes expected that unforeseen negative impacts are to happen. Or, in the worst case scenario, it could lead to bankruptcy. 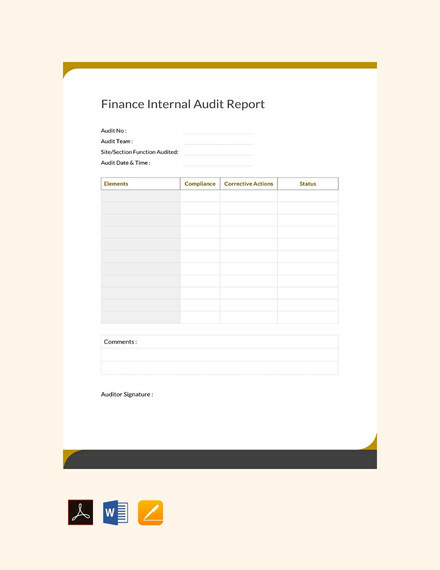 Without conducting an audit report, a company could lose millions of profit if finances are not liquidated. 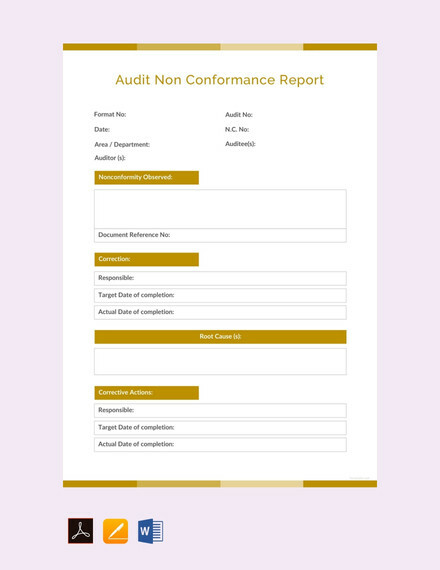 An audit report is important to check whether there are right allotments for every contributing factor of the business report.